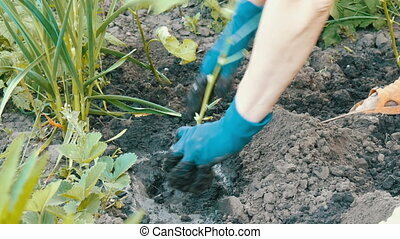 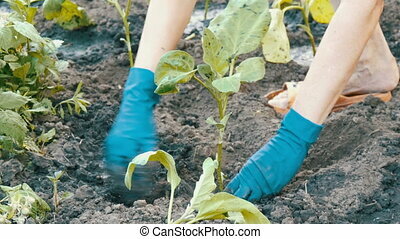 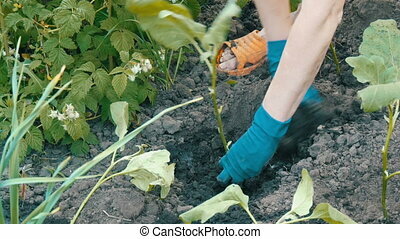 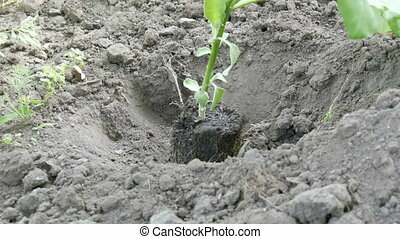 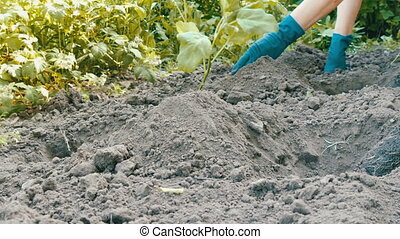 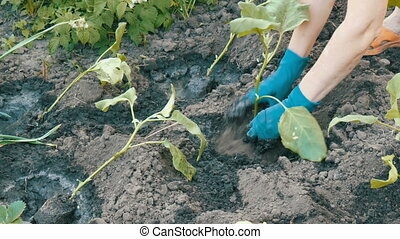 Woman hand with yellow rubber gloves keep the eggplant seedling pot and trying to pull it out with the earth. 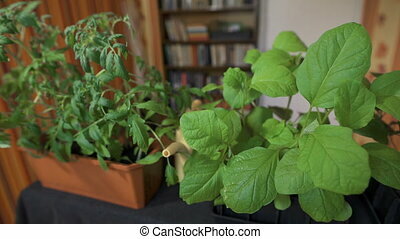 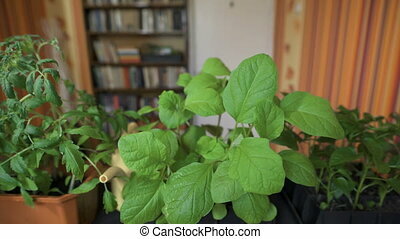 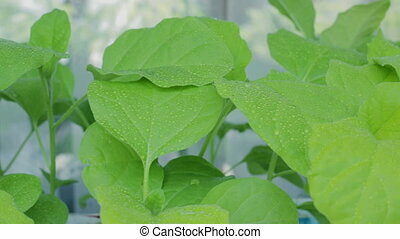 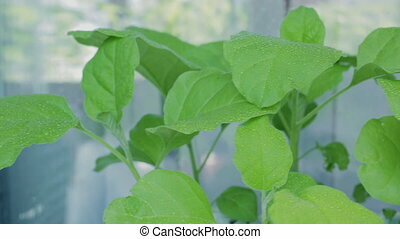 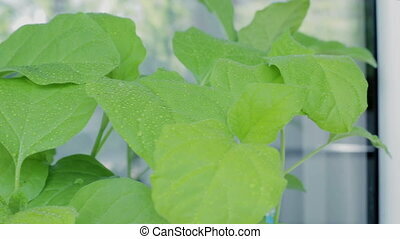 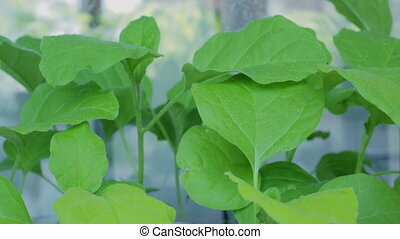 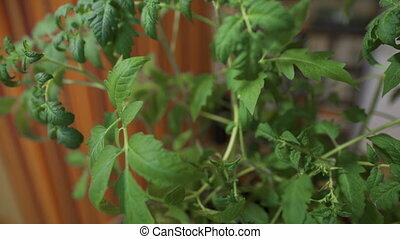 Seedlings of eggplant on a windowsill. 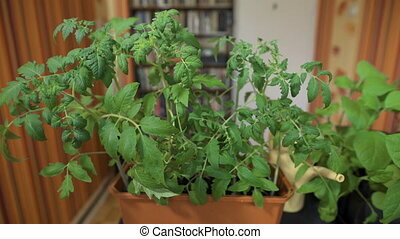 Spraying the plants with water. 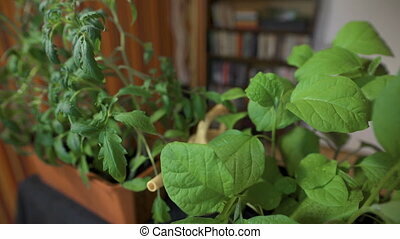 Seedlings of eggplant on a windowsill.